It’s the year of Homecoming Scotland and often it’s the simple things that remind you of home. It could be your granny’s shortbread, mum’s Sunday roasts or maybe your dad could rustle up a mean mince and tatties. For some people their favourite dish from home is chicken soup for the soul, prescribed to comfort, cure homesickness and lift the spirit. Even if your mum is a domestic disaster and nothing like goddess Nigella, you’ll remember the charcoal dinners that set off the fire alarm because these memories bring us back home. Ideal Home Show returns to its Scottish home at Glasgow’s SECC for a fourth year and our favourite foodie expert Gregg Wallace has created a special homecoming themed menu, available at his pop-up Restaurant sponsored by Regina. 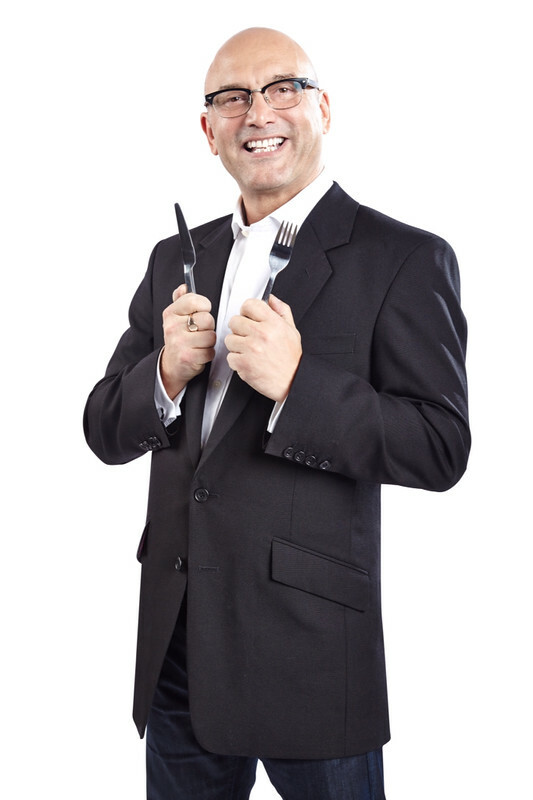 We’ve also asked Gregg and our other celebrity ambassadors what dish takes them back to their roots. Top and tail the rhubarb and remove the stringy skin. Cut the sticks into 2.5 cm (1 inch) lengths, put them in a large ovenproof dish and sprinkle with the caster sugar. Add the stem ginger and stem ginger syrup. To make the crumble, sift the flour into a bowl. Add the butter and rub in with your fingertips until the mixture resembles fine breadcrumbs. Stir in the caster sugar. Cover the rhubarb with the crumble and press it down lightly. Sprinkle the surface with the demerara sugar. Bake in a preheated oven, 190°C (375°F), Gas Mark 5, for 40 minutes until golden brown. Serve hot with custard. “This is my favourite pudding and has been since I was a small child. Some of my happiest memories are visits to my grandmother’s house. She was a wonderfully skilled old-fashioned cook and I adored her food. All great dishes evoke fond memories, this one is full of love and cuddles. The combination of sweet/sharp fruit with a toasty crunchy topping was and still is irresistible to me”. “Growing up, my mum and family always ate hearty, wholesome food. When I was living in London, I missed my mum’s beef olives, which reminded me of home. This homemade dish was made with good quality sausage and beef ham. My mum would cook them in a casserole dish with carrots, onions and potatoes. I loved the smell of the cooking and soaking up the gravy with an outsider of a plain loaf. When I want a hearty winter meal, I still make this. It’s also really convenient when you’ve been out all day, pop in all in a slow cooker and it’s ready when you get back”. “My mum’s roast dinners are legendary! We would sit round an oak dining table swapping stories. My brother, grandparents and uncle were often there too. Roast beef was a favourite and my nan made wonderful Yorkshire puddings and a fabulous thick gravy. My mum always made lots of vegetables and we would fry the leftovers on a Monday with some grilled bacon. She also made the most divine roasted vegetable mix of onion, garlic, peppers and courgettes and I still make this for my family. Afterwards we would have apple crumble made with cooking apples from the garden, with melted brown sugar and custard or a lemon meringue tart. My nan also made ‘cheese straws’. These consisted of cheddar cheese grated into pastry, add in streaks of marmite, then twist and bake. I really miss those”. “My dear mother, rest her soul, was not much of a cook. She thought pizza was too fancy and foreign! Fortunately I married a restaurateur, who changed by palette dramatically. My favourite meals as a child were mince and potatoes, Sunday roasts and mum's chicken soup. Even to this day, if I’ve not been feeling well, it’s this chicken soup that I really want”. "A dish that reminds me of home is something that is simple but a classic British dish, and it’s a good old-fashioned shepherd’s pie. My mum would make a gorgeous homemade pie and it was something to look forward to all week. We would all sit round the table as a family in my home in Sunderland. Even today, this dish reminds me of those times”. "Mum wasn't the best cook. Our meals were however full of fresh food, made with basic ingredients. Her speciality was brown bread, baked in a round cake. The smell of a loaf straight from the oven would hit you as soon as you opened the front door. And eating it while still warm, with salty butter melting on spongy dough, and the hard crackly crust providing some bite, was delicious”. The Gregg Wallace Restaurant sponsored by Regina will give visitors the chance to engage in some luxury dining to break up their busy shopping schedule. Open daily from 11.30am with 2 courses priced from £13.95. Table reservations to be made on site. 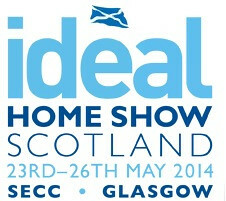 Book tickets to The Ideal Home Show Scotland here.